Ali Borj a 39-year-old assistant professor at the University of Central Florida in the school’s Department of Computer Science was arrested and was charged with 2 counts of stalking, both misdemeanors. The perv had sent a Ph.D student more than 800 messages per day and watched her work out through the window at her gym. Note to students, keep your relationships profession with your professors at all times. Otherwise, you might just attract a perv like this one. According to police, in one email, Borji wrote, “You should be happy that somebody likes you this much to stalk you.” Um UCF, you might want to think of letting this dude go before he harms someone. A University of Central Florida professor is facing stalking charges after a Ph.D student says he sent her more than 800 messages per day and watched her work out through the window at her gym. Ali Borji, a 39-year-old assistant professor in the school’s Department of Computer Science, was arrested at his on-campus office Thursday night. He faces two charges of stalking — both misdemeanors. The victim met Borji last June while she was working on her Ph.D. She told police that Borji reached out to her on Facebook to help with her studies. They went on a few dates before the victim told him that their relationship needed to remain professional, authorities said. Two teen girls charged for aggravated stalking in the cyber-bullying death of 12 year old Rebecca Ann Sedwick. The Polk County Sheriff’s office has arrested two teen girls, one 14 and the other 12, in the relentless cyber-bullying death of 12 year old Rebecca Sedwick in Lakeland, FL. The two teen girls were arrested Monday night as authorities referred to then as the “primary harassers.” The police decided to arrest the two teen female punks after the older one posted this onto her Facebook page on Saturday: “Yes, I bullied Rebecca and she killed herself and I don’t give a f*ck.” According to the probable cause affidavit, Rebecca Sedwick was bullied from December 2012 to February 2013, however, Rebecca’s mother, Tricia Norman, claims that the bullying began long before then and continued until Rebecca killed herself. 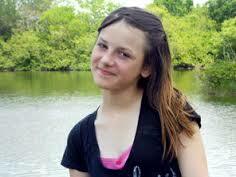 Sheriff Grady Judd of Polk County said that the bullying lead to Rebecca Sedwick’s suicide. Gee, ya think? Personally, I think these two should be charged with murder. The bullying led directly to this Rebecca’s death. How about charging a “hate” crime? What is more hateful than what this group of people did? What the did is the definition of a “hate” crime, color does not matter. For the Polk County sheriff’s office, which has been investigating the cyberbullying suicide of a 12-year-old Florida girl, the Facebook comment was impossible to disregard. In Internet shorthand it began “Yes, ik” — I know — “I bullied Rebecca nd she killed herself.” The writer concluded that she didn’t care, using an obscenity to make the point and a heart as a perverse flourish. Five weeks ago, Rebecca Ann Sedwick, a seventh grader in Lakeland in central Florida, jumped to her death from an abandoned cement factory silo after enduring a year, on and off, of face-to-face and online bullying. Both were charged with aggravated stalking, a third-degree felony and will be processed through the juvenile court system. Neither had an arrest record. The older girl was taken into custody in the juvenile wing of the Polk County Jail. The younger girl, who the police said expressed remorse, was released to her parents under house arrest. 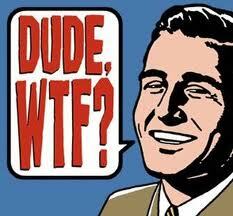 Sick, sick, sick … what the hell is the youth of today thinking in that they can say and do anything and think there are no consequences? More from the NY Times. And where were the parents? Way to monitor your children even after the situation came to light. The older of the two girls acknowledged to the police that she had bullied Rebecca. She said she had sent Rebecca a Facebook message saying that “nobody” liked her, the affidavit said. The girl also texted Rebecca that she wanted to “fight” her, the police said. But the bullying did not end there; Rebecca was told to “kill herself” and “drink bleach and die” among other things, the police added. Brimming with outrage and incredulity, the sheriff said in a news conference on Tuesday that he was stunned by the older girl’s Saturday Facebook posting. But he reserved his harshest words for the girl’s parents for failing to monitor her behavior, after she had been questioned by the police, and for allowing her to keep her cellphone. UPDATE I: Polk County Sheriff’s Office identify two teen girls arrested as 12 year old Katelyn Roman and 14 year old Guadalupe Shaw. Judd identified the two girls who were arrested as Katelyn Roman, 12, and Guadalupe Shaw, 14, during a news conference Tuesday morning in Winter Haven. Both girls have been charged with felony aggravated stalking. On Tuesday night Roman’s father spoke with Channel 9′s Renee Stoll about his daughter’s arrest. Guadalupe’s neighbor, George Colom, said he’s not surprised to hear she was involved. In fact, Colom said Guadalupe’s siblings are known as bullies in the neighborhood and that he was even harassed by her brother at one point. The FBI has released chilling video of Aaron Alexis, the gunman who killed 12 and wounded numerous others at the Washington Navy Yard on September 16, 2013. The video shows 34 year old Aaron Alexis, now deceased, walking the halls at the Washington Navy yard as he looks for victims. You can see employees in the distance as Alexis stalks the corridors with a shotgun. There is no indication that he was specifically targeting anyone, however, he can be seen stalking the hallways looking for prey. Chilling footage of the Navy Yard shooter as he stalked random victims through hallways with a sawed-off shotgun has been released by the FBI today. There is no indication that Aaron Alexis targeted any specific individuals when he sprayed bullets inside a building, killing 12 people on September 16. In the short clip, Alexis is first seen driving into an underground parking garage in his rental car, a blue Toyota Prius, through the Washington Navy Yard main gate in DC. More on the story and pics at The Week. From The FBI: Law Enforcement Shares Findings of the Investigation into the Washington Navy Yard Shootings . ?7:53 a.m. – Alexis’ rental car, a blue Toyota Prius with New York plates, entered Parking Garage #28 at the Washington Navy Yard, located directly across from Building #197. ?8:08 a.m. – Alexis exited Parking Garage #28 on foot carrying a backpack. Alexis entered Building #197 and proceeded to the elevator. ?8:09 a.m. – Alexis exited the elevator on the fourth floor and entered the men’s bathroom carrying a backpack and a clipboard. ?8:15 a.m. – Alexis crossed the hallway into the 4 West area of Building #197 with shotgun, but without the backpack or a clipboard. ?8:16 a.m. – Alexis shot the first victim in the 4 West area of Building #197. ?8:17 a.m. – First 911 call is received from the fourth floor of Building #197. ?8:20 a.m. – Alexis left the fourth floor using the stairs and entered the third floor. ?8:28 a.m. – Alexis appeared on the first floor. ?8:57 a.m. – Alexis returned to the third floor. ?9:25 a.m. – Law enforcement shoot and kill Alexis on the third floor. Suddenly Charlie Brown having Lucy pull the football out from under him as he is trying to kick it or him getting a lump of coal at Halloween sounds rather trivial. The lovable failure might have outdone himself this time. Peter Robbins, who as a child was the voice of Peanuts character ‘Charlie Brown’ was arrested on five felony charges and is scheduled to be arraigned on Wednesday. Robbins was stopped at the San Ysidro Port of Entry between San Diego and Tijuana. The 56 year old Robbins was charged with four felony counts of making a threat to cause death or great bodily injury and one felony count of stalking. I must have missed the ‘Peanuts’ special … You’re a felon Charlie Brown. Robbins is being held on $550,000 bail. Robbins was arrested shortly after 8 p.m. Sunday at the San Ysidro Port of Entry, said Angelica de Cima, spokeswoman for U.S. Customs and Border Protection. He was driving a silver 2006 Mercedes-Benz C230 when a border officer referred him to an area for a more thorough examination, she said. He was the only person in the car at the time. A systems check determined that Robbins was wanted by the San Diego County Sheriff’s Department for a felony warrant for crimes against a person, De Cima said. Jan Caldwell, a spokeswoman for the Sheriff’s Department, said Tuesday night that she did not immediately have details about the warrant. Robbins provided the voice of Charlie Brown in several “Peanuts” productions in the late 1960s, including the film “A Boy Named Charlie Brown” and television specials “A Charlie Brown Christmas” and “It’s the Great Pumpkin, Charlie Brown.” The television shows remain popular today. Damn, first the voice of Elmo and now Charlie Brown? Who’s next, Barney the Dinosaur?